Fast facts about the Palestinian-controlled territory in the Middle East, the site of recent violent protests. With President Trump's controversial move of the U.S. Embassy in Israel to Jerusalem on May 14, violent protests escalated among Palestinians in Gaza. It's estimated that more than 35,000 people protested that day, encroaching upon the fence separating Gaza from Israel. When Israeli troops opened fire against the crowd, 41 protesters were killed. But where is Gaza exactly, and why is there so much fighting there? We break it all down. Gaza, otherwise known as the Gaza Strip, is a 141-square-mile Palestinian territory that is bordered by Israel on the north and west, Egypt on the south, and the Mediterranean Sea to the east. With 1.85 million people in 141 square miles, Gaza is the third-most-populated political state in the world. Almost all residents are Palestinian. The region is currently under Israeli blockade. Why is there so much fighting in Gaza? Gaza was under Egyptian control until 1967, when it was turned over to Israel. Israel had a military presence there and allowed Jewish settlers until 2005, when it withdrew both. Since 2007, Gaza has been controlled by the Islamist militant group Hamas, which formed as a resistance group to Israel. The Israeli government considers Gaza a threat to Israel and enforces a commercial blockade of goods into and out of the country, including electricity, food and medicine. Israel has been accused of an ongoing "financial war" against the territory, and Gazans are not free to enter or leave at will. The U.S., Canada and the United Kingdom view Hamas as a terrorist group and have frozen all funds to Gaza. Gaza has been used as a launching pad for hundreds of rocket attacks against Israel. In return, Israel has conducted several military operations, including major air and ground campaigns in 2008, 2009, 2012 and 2014. Two-thirds of Gaza residents are refugees from Israel, and life there is often described as "desperate." The U.N. says the territory will be uninhabitable by 2020. Weeks of protests have been underway in Gaza since the end of March. But Hamas and Israel are at a stalemate. In January, Israel proposed a $1 billion plan to rehabilitate Gaza, with the provision that it is taken over by the Palestinian Authority, the internationally recognized governing body whose control has shrunk only to areas of the West Bank. That is a non-starter with Hamas. 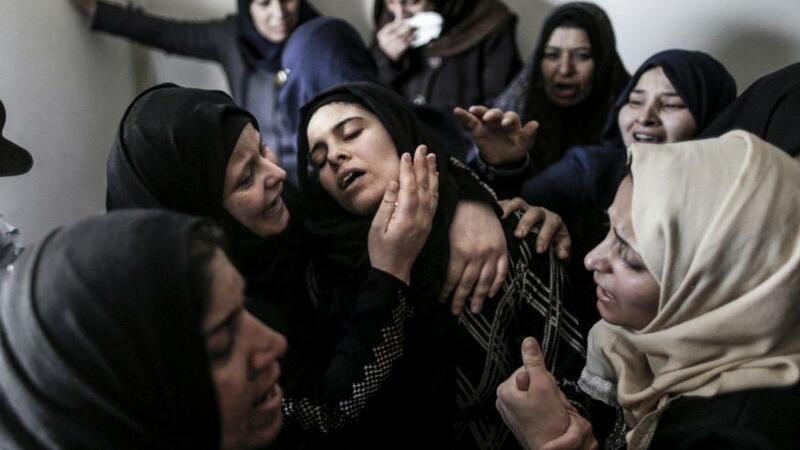 World - U.S. Daily News: Where is Gaza, and why is there so much fighting there?